For years the environmentalists have told everyone who’d listen that buffers are the cure-all to silt in our rivers and lakes. It’s been a mantra. Well, I’d like to invite the editors and politicians to come look at Lake Hickory. 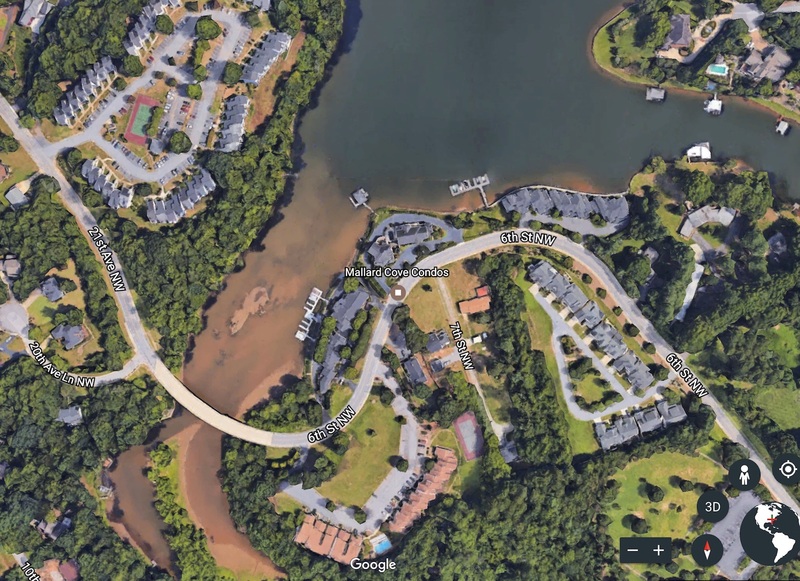 Lake Hickory is surrounded by buffers. And it’s full of silt. This is Horse Ford Creek. Where it meets Lake Hickory it’s so filled with silt you can almost walk across. Riparian buffers do no harm. They do some good. But a cure? No. At least not in Lake Hickory. No one’s done the real work needed to find the solutions to these problems. Instead, they simply came up with a political solution: Making “wealthy waterfront landowners” provide buffers. It sounded good. It felt good. But like a lot of political solutions it didn’t work. In Lake Hickory, it was veneer environmentalism. Here’s a second problem: The politicians targeted one small group of homeowners and said, We’ve got a problem – and you’re going to fix it for us. By providing buffers. Now when the government takes part of someone’s property it usually compensates them. That’s called Property Rights. But that didn’t happen with buffers. The environmentalists (and newspaper editors) will, no doubt, say that’s okay. Because it’s for the public good. But here’s a fact: I know of no other instance where government can take a property owners land without compensating them. So here’s a suggestion: When government tells someone he or she has to create a buffer, give him a credit on his property taxes on that part of land. And don’t require him to pay property taxes on that land in the future. That compensates the property owner. And, if you like buffers, you’re likely to get you more of them. Everybody wins. Of course, government won’t like that. It would rather take the owner’s property and not pay them. But, in my book, Property Rights are right up there with Freedom of Speech and Freedom of Religion – they’re principles we need to protect. Even if it does mean being called stupid by a newspaper editor.